LAKE MAHOPAC, New York (WABC) -- A heroic teen received one of New York State's highest honors Wednesday night after saving two teens from a sinking car last month. 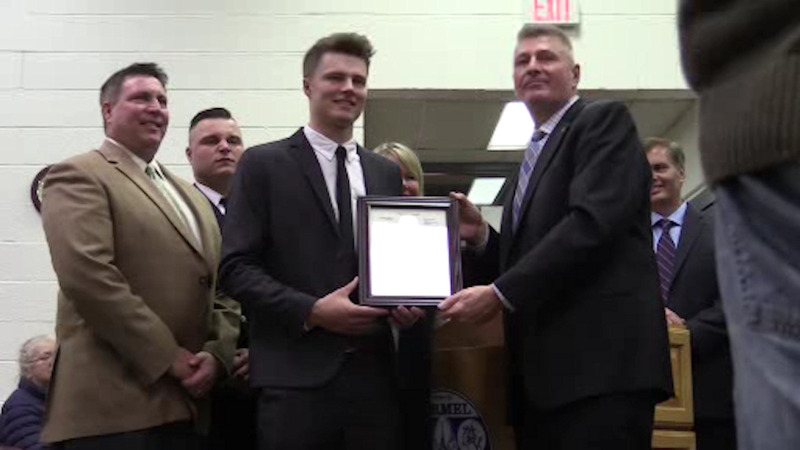 State Senator Terrence Murphy awarded 19-year-old Cullen Malzo the Liberty Medal. Malzo jumped into Lake Mahopac back on November 10th to save two 17-year-old girls after their car hit a utility pole and plunged into the water. Both girls were taken to the hospital but are OK.
Police say no signs of drugs or alcohol were involved in the crash.